We're trying to gather audit evidence of our backup settings, and the Backup Plan summary does not contain info on the setting "Use Block Level Backup" or any of the other options set in the Advanced Options section of the Backup Plan Wizard. Should I file a bug on this, shouldn't this info be included? It seems like an error to not include it. This information is currently not available on the summary screen. I've filed a feature request on your behalf to our developers. Thanks Matt, that would be great. I also noticed that when a block level backup is selected, the "Full Backup Options" page is available in the wizard, but if you leave "Schedule Full Backup" unchecked but enable "Run full instead of block level ... larger than X%" - this information is also missing from the plan summary, it only shows "Full backup is not scheduled" under Full backup options in the summary, not the X% information. See fi this existing option helps at all. You can export plans from the system menu - Export Configuration screen. CloudBerry Backup creates a ZIP file (using the .cbbconfiguration extension) which you can open in any ZIP file management utility and export the plans. The plans do not have usable file names (they are all unique IDs), but the plan itself is XML data. Since this option was created to help customers move plans from one system to another, it's not a perfect fit for your question, but it will allow you to examine plan details. I'll also add that plans are stored in XML format in this default location (C:\ProgramData\CloudBerryLab\CloudBerry Backup) so you can access the plan information without having to export. 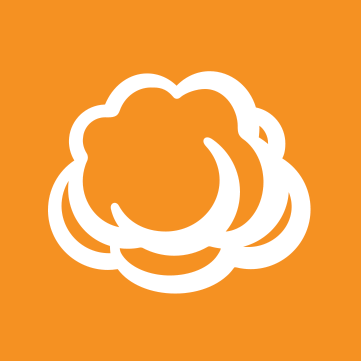 Can I ask how many systems you are managing with CloudBerry Backup? Moving to our Managed Backup Service might help with the centralized administration it offers. Thanks for the info David, I'll look into it. Currently we only have a handful of plans so it's not that much of a problem. The only downside with exporting the plans as you mention is (I assume) that the Server Side encryption key is stored in the exported files in a readable format, since it's readable in the wizard. I can take a look and see tho, thanks.